I can finally share a finish now that Christmas is over and the gift has been received. 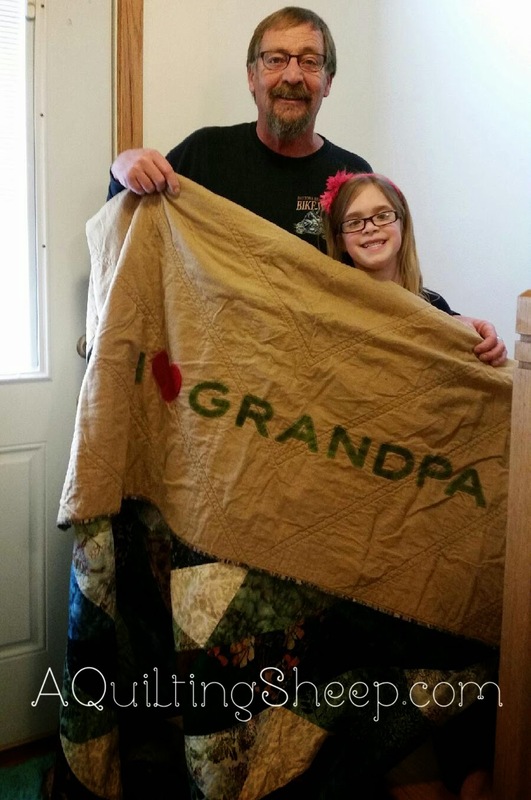 Brooklyn commissioned me to make her other grandpa a quilt for Christmas. Apparently grandpa steals grandma's quilt frequently and she thought he needed one of his own. I wholeheartedly agreed! I had not made a quilt solely out of batiks before, so this was a fun project for me. Batiks are a dream to sew with! Russ needed a satchel to transport his laptop. I love this satchel so much!! I may have to borrow it sometimes! Russ gifted me with this cone thread stand to use with my feather weight and other vintage machines. My mother-in-love always gives us kids the gift of cash. I usually buy fabric or something for my sewing room with her gift, but this year I wanted to do something different, so I ordered an Erin Condren Life Planner. I am so excited for it to arrive!! I love my iPhone and use it for keeping dates and schedules, but I find I really need to be able to physically write things down and see it for me to remember. Now that I'm working part time, I need to do better with keeping organized and getting things done. I am hoping this will be the ticket. 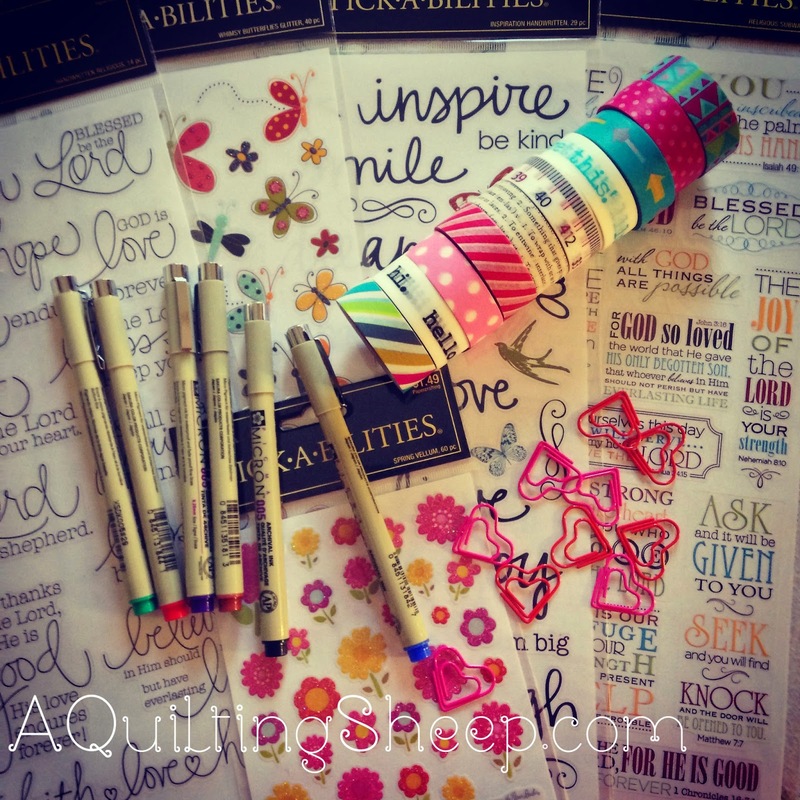 To go along with my new life planner, I took a trip to Hobby Lobby and bought some stickers, wash tape and pens. I'll see you again in 2015!! So Sweet Dear Friend.....Sister in Jesus....You are an Inspiration!!! I love that quilt. Looks like a great time. BTW, that thread stand is awesome and I need it!!! BTW, hope you have a wonderful New Year!! Love the quilt, and love your gift from Russ. I'm the same way when it comes to keeping records and dates and such. I just have to write it down. Phones are nice, but there's something about putting pen to paper for things. I hope you blog or IG your new planner. I'd love to see it! The big grin on Brooklyn's face says it all! 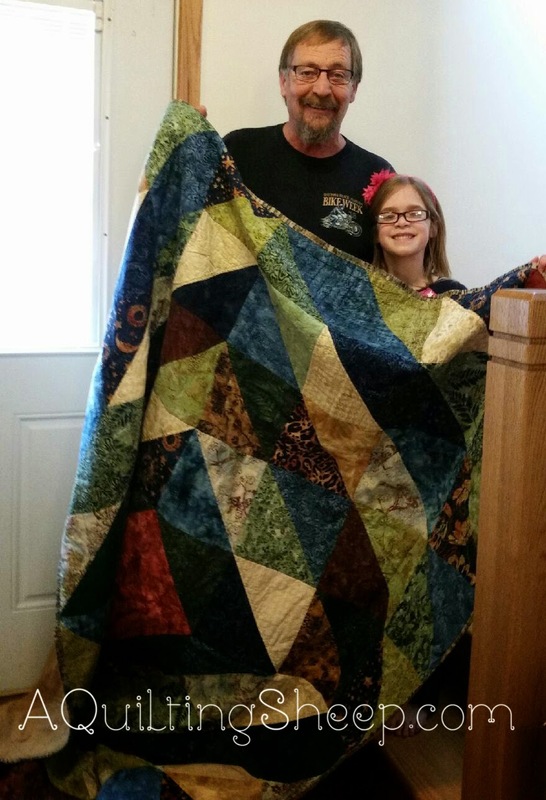 Gorgeous quilt and how sweet that Brooklyn felt a need for a quilt for her grandpa. Says so much about her which makes my heart soar. Love your thread stand. Have a wonderful New Years! What an awesome quilt...Happy New Year!! That quilt is just gorgeous and I LOVE the back. What a lovely gift! Happy New Year hon! That's a great quilt, Amy! You received some wonderful gifts, also. Happy New Year! 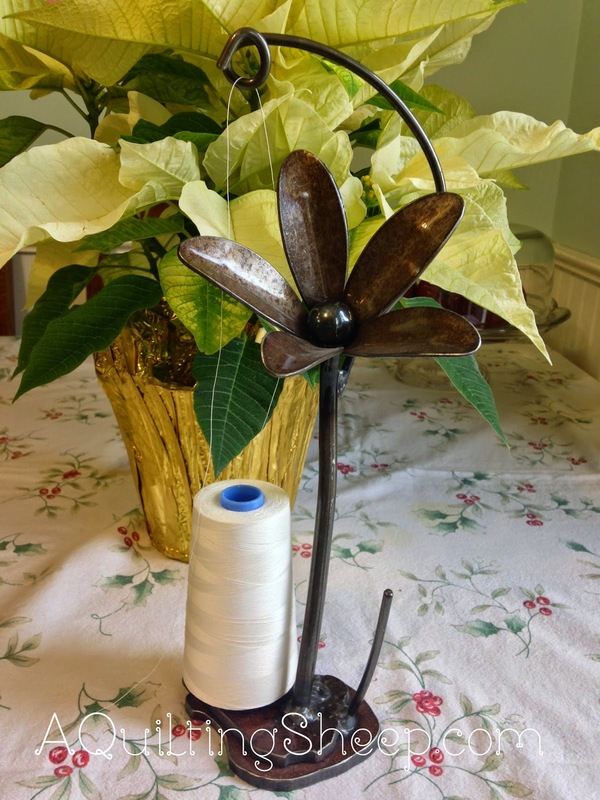 What a cool thread stand - I've never seen one like that. Brooklyn is so cute. Just look at the sweet smile on her face. You have a heart of gold my dear. Love the quilt. Russ looks like he loves his gift too. I am in love with your thread holder. That is stinkin cute. I have to write stuff down or it will definitely go out of my head. I too broke down and bought an Erin Condren Life Planner. I carry it almost every where. I haven't used it to it's fullest potential but I'll get there. I love the quilt and your new thread stand.